Rated line pull is based on the first layer of cable. Rated line speed is based on cable with No Load. 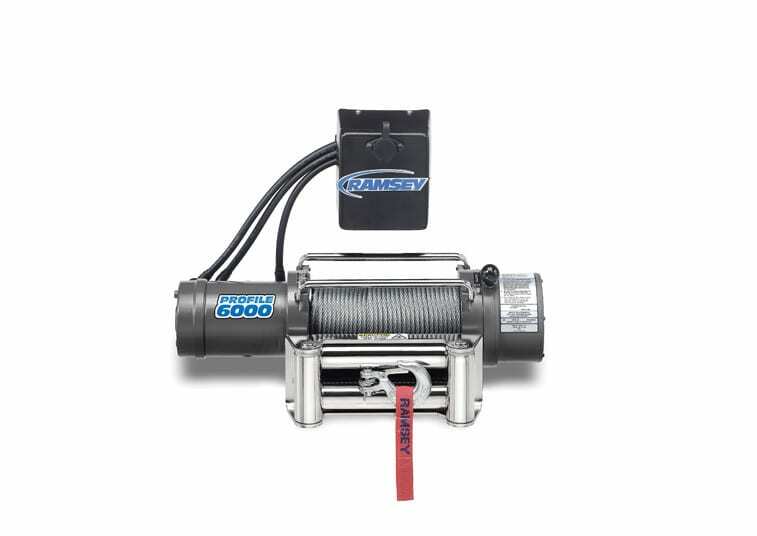 The Ramsey Patriot Profile 6000 Low Profile Winch is available in either 12 or 24 VDC versions. It includes 100 ft. of 1/4” galvanized aircraft cable with replaceable clevis hook and it has all the dependability that off-road enthusiasts have come to expect from Ramsey Winch. The Patriot Profile 6000 is built rugged and strong with 6,000 lb. line pull using Ramsey’s proven and efficient three-stage planetary gear system.